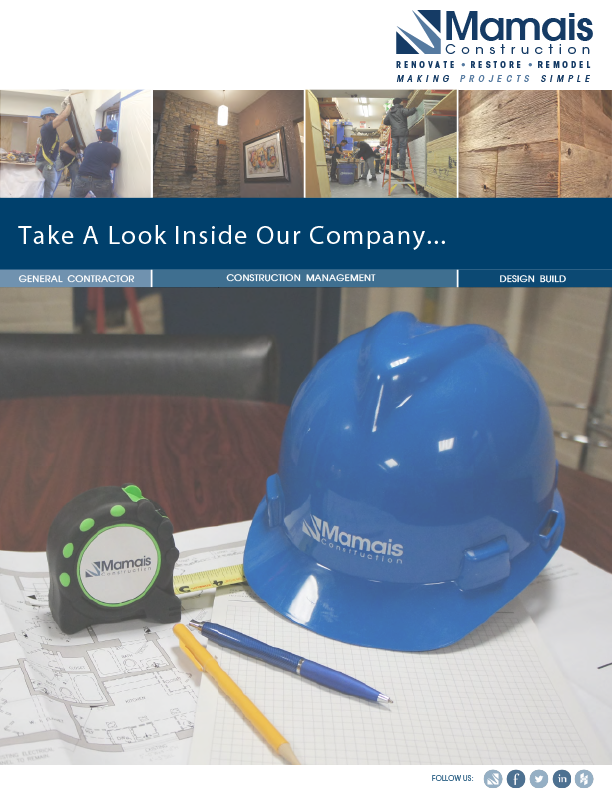 Thank you for your interest in Mamais Construction! We regularly work with professional sub-contractors who are qualified and efficient in performing their services. Their knowledge, skill and professionalism are a vital resource, and we are deeply committed to maintaining strong working relationships that ultimately lead to our mutual success and to the success of our customers. We are constantly seeking new subcontractors for projects that require Mechanical, Electrical and Plumbing (MEP) services. If you’re interested in working with Mamais, please fill out the form provided on this page and we will send you a Subcontractor Questionnaire Form.